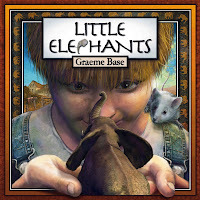 I found this book to be quite different from Graeme Base’s other books. His books tend to be either completely based in reality or completely fantastical. This story has elements of both. Jim and his mother live and work on a wheat farm, which is a tough life at the best of times. 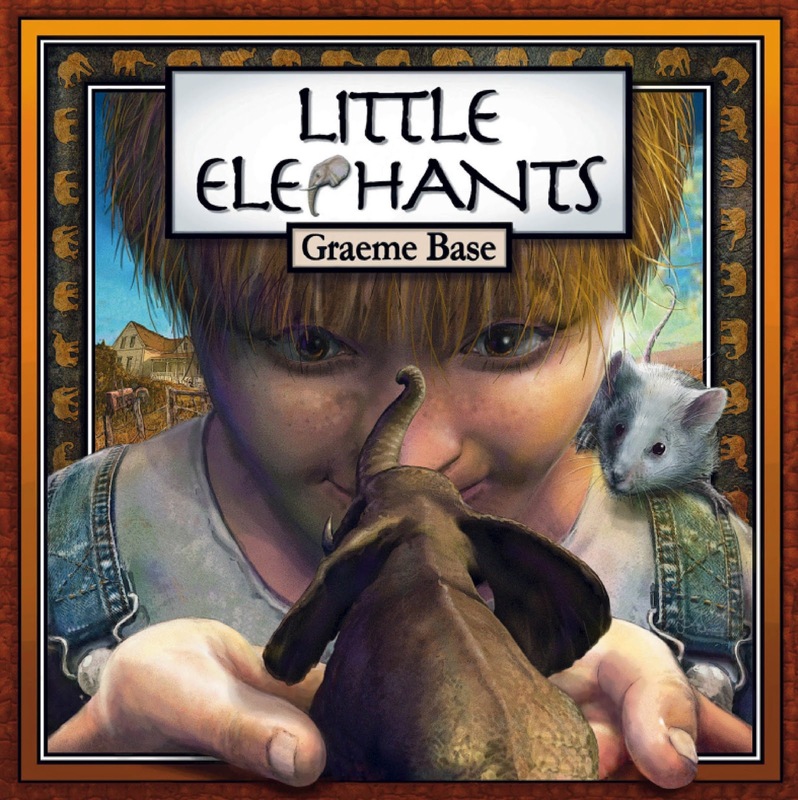 With the possibility of a mouse plague, Jim’s mother tells his he must get rid of his pet mouse, Pipsqueak, because one mouse may attract others. This is not the best of times, as there is a locust plague on it’s way, and the result could be that they lose the farm. When a stranger turns up in their field and gathers some wheat, Jim tells the man he is welcome to take some. It’s a book that reminds us to always be kind, because our small act of kindness may have a big impact down the track. Because there is usually more than meets the eyes to Graeme Base’s illustrations I found myself scouring the pages for ‘something else’. I am sure that each time I look at it I will find that something else, or someone will point out to me something I hadn’t seen before. I won’t take the joy of making those discoveries away from you, but one thing you may notice is that the painting in the lounge room looks very familiar. The endpapers are rows of elephants in silhouette, and a number of the elephants in the story have distinctive features you may be able to spot there!